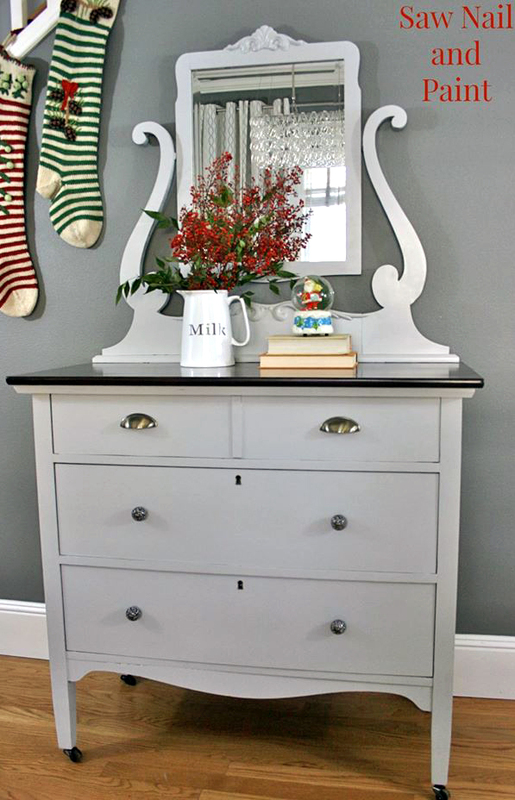 Saw Nail and Paint upcycled this charming vanity dresser just in time for Christmas! "Happy Holidays General Finishes! This vintage cutie got all decked out head to toe in General Finishes products - Seagull Gray Milk Paint, Java Gel Stain and High Performance Top Coat in Satin."